to help publicize the 2018 Foxton Art Exhibition. All very exciting! Artists are set to showcase their paintings, drawings, pottery and woodcraft in an exhibition to raise money for Foxton Primary School next weekend. The annual art exhibition brings together a wealth of talented artists to the school in Hardman Road. One of the artists exhibiting is Prue van der Hoorn, who teaches art at Comberton Village College and at the Wimpole Estate. She said: “I have been exhibiting my watercolour paintings at Foxton Art Exhibition for nearly 10 years now, since 2008. Fellow artist Tina Bone first started exhibiting at Foxton Art Exhibition in 2008, and her favourite things to paint are natural history, botanical illustration and illuminated lettering, using gesso and gold leaf. She said: “The children benefit enormously from the efforts of the Friends of Foxton School, who run this annual exhibition, and I am absolutely delighted to have been a part of it for so many years. “The friends are always on the lookout for fresh ideas regarding the exhibition artwork and have given amateur as well as professional artists a chance to showcase their work in a very up-to-date event which caters for all tastes. 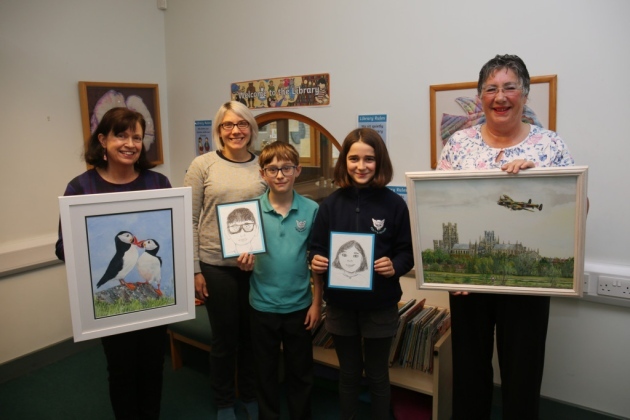 Foxton Primary School headteacher Carole Davies added: “The annual Foxton Art Exhibition continues to go from strength to strength. 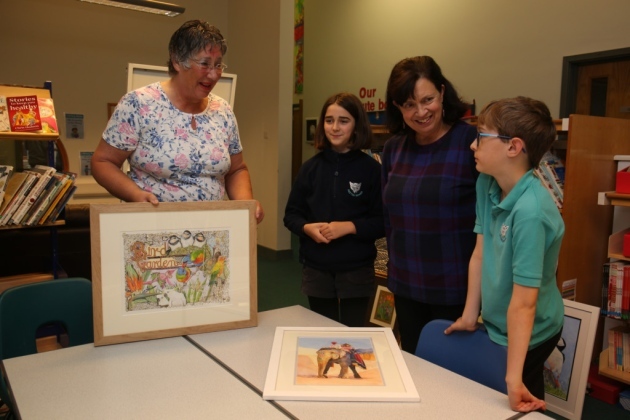 “It is a major fundraiser for the school with proceeds providing a significant contribution to the opportunities that we can provide for the children, including those supporting the development of artistic skills. The exhibition is on at the school next Saturday and Sunday, November 17 and 18, running from 11am to 4pm on both days. Admission to the exhibition is £2 for adults and is free for children.